Lately I’ve been hitting the thrift stores and trying to improve the quality and quantity of my finds. After watching a bunch of YouTube videos featuring full-time pickers, I came up with a list of guidelines (at the end) to improve my hauls! And I can say after visiting four stores that I AM doing better, but there IS room for improvement. 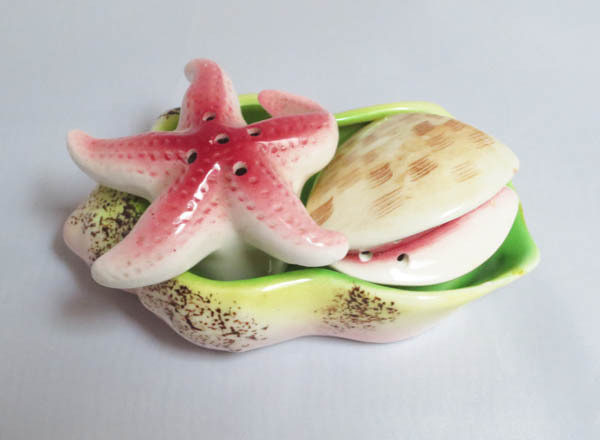 Quirky 1958 salt and pepper shaker set. It’s a great unused set but I should have negotiated the price. I found a quirky vintage salt and pepper set but it was priced about twice what I thought it should have been. I bought it anyway and didn’t even ask if there was an wiggle room in the price! I’ll still make money on it (and I haven’t found a similar one for sale), but I should have tried to negotiate. Rookie mistake! I looked at men’s ties (which would be a new area for me) and found some cool ones at 2 for $3. But I didn’t buy any because I know nothing about ties so I talked myself out of it. Alas for $3, I wish I would have trusted my instincts and bought a couple. I found a hand-knit wool sweater from Ireland priced at $25. It was a beauty in perfect condition and probably cost $100-150 new. I know I could have made money on this, but I balked at the price tag. Should have bought it though…it was worth it. 😦 I’m kicking myself now! 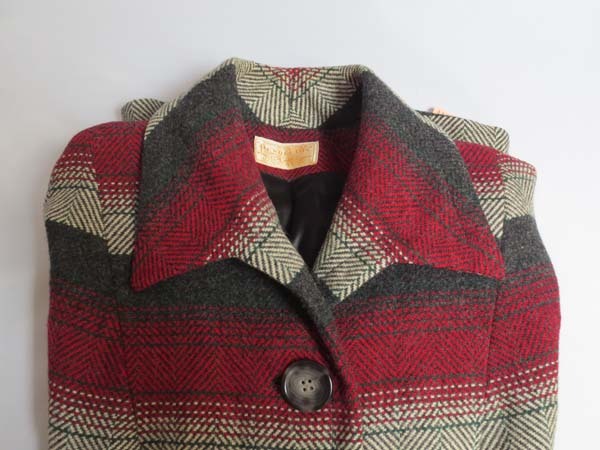 Clothing wise, I found a great vintage Pendleton women’s blazer at a super price. No holes or problems other than a small tear in the lining. Their stuff is quality. Then an oversized Etro paisley blouse made in Italy called to me. Turns out the Etro brand is darn high end. New blouses similar to mine range from $400-800! (Thinking I could do well on this one!) I also found a sweet Judy Bond 1950s/60s blouse for a snip. I also got a great deal on 7 miniature china animal figures made in England. (Aren’t they cute?) I saw them in the glass counter case as I was checking out. They were unpriced so the clerk pulled a price out of the air..and it was a good price! I also found a small stone urn at an antique mall marked down to $10 that I’m going to keep for myself…at least for a while. It rather appeals to me. Overall, I’m pleased with all my recent finds, but am hoping to continue improving, learning and trusting my instincts! Go slowly. Look through every shelf and area, particularly as things may be moved around by other customers. Examine everything carefully for condition, maker, hallmarks, etc. Consider different types of stuff…trust your instincts. Negotiate when the price seems too high. Be willing to spend more on items that warrant it. Ask what’s on sale if they don’t mention it. What have you found lately?? Are those the Red Rose Tea Wade figurines? Love your picikn’s for the day! .. Thats funny, I also bought some miniature doll house size figurines this weekend. I was going to do one of those Fairy Garden’s…but now I see what these little critters go for, I think I should put them under glass. Good guidelines. We all make mistakes. I still remember some of my should have bought items and I could cry so you’re in good company! I love collecting the miniature Wade figurines from Red Rose Tea. I’ve been drinking the tea and collecting the figurines for over 30 yrs. My first EBay sale was actually a duplicate set of 20 which I sold for $45…… (In 2003) and I was ecstatic! Great find!